**Before we even get started let me just say this is NOT a formula vs breastfeeding debate. I fully believe that while formula is a medical food and life saving, breast is best. However, this post is not ranking one over the other – rather taking my personal experience into account. I’ll say it one more time – I don’t think I’m a better mother because I breastfeed, but breastfeeding has made me a better mother (not than anyone else – just than my base self) for many other reasons. I am currently in my 28th month of breastfeeding. When I was pregnant with Lucas I just assumed I’d breastfeed. I was breastfed and so was my brother – and 30+ years ago that was less common than it is today. Breastfeeding wasn’t always easy for me, in fact, I’m still struggling a little nursing my 3 month old. However, I believe, without a shadow of a doubt, that breastfeeding has made me a better mother than I would have been otherwise. 1. Breastfeeding taught me how to advocate for my children and trust my intuition as their mother. In case you haven’t read it, we had a lot of issues with breastfeeding when Lucas was born. We struggled for months. 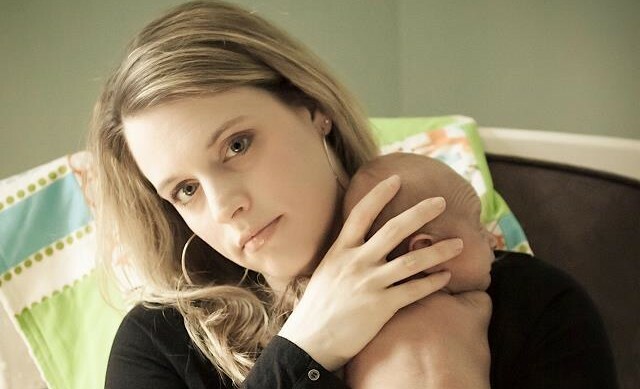 We were told by many people that everything was “fine” and I had a pediatrician look at me and tell me that I should just give a bottle instead of pushing through, but I knew something wasn’t right and that there was a problem we needed to resolve. I also knew that no one was going to care for my kids as much as I do and, that while a pediatrician would never want to harm my child, they do not want the absolute best for them, like I do. Lucas is only 3 years old (and Andrew only 3 months old) but I’ve already seen this spill over into other aspects of our life, not just healthcare (although I’ve had to do this more than once when it comes to the physical well-being of both boys). 2. Breastfeeding gave me confidence (well, after a while it did)! I won’t lie, it’s easy to doubt yourself in those first few months of breastfeeding. Even with all of the training and experience I have now, I still doubt myself sometimes. But breastfeeding has also given me confidence. My body alone is able to provide not only nourishment but also comfort and security for my children. How bad@ss is that?! It’s a reminder that I was made to be a mother. And knowing that gives me the confidence that even though I may know have it all together all the time, I really can do this whole parent thing. 3. Breastfeeding taught me to push on. As a mom you sometimes need to just put your hair in a “messy bun and get things done!” There have been days (too many than I should admit) that I just want to stop breastfeeding. For one reason or another I just want to be done but I push on, because in my heart I know I’m not ready to stop, and neither is my baby. There are days when being a mom is tough too, especially as a Stay-at-Home-Mom who doesn’t always have any adult interaction during the day. I wouldn’t trade that for anything though, so in those moments (you know, the ones where you have a crying baby and a toddler who is throwing the black beans you are using for your coal mining activity all over the house while waiting for someone to come and give you an estimate on the cost of a deep clean of said house – which was a baby gift, not something we would do on our own – that now has black beans all over the floor!) I remember that, like some of my breastfeeding struggles, this is just a season. I’ve got my messy bun and I can get things done – even if that’s just surviving until Daddy gets home. 4. Breastfeeding gave me a purpose and a cause. I got so much help and support while I was breastfeeding Lucas that I wanted to give back and help others like I had been helped. The lead me down the path of leadership for a very popular mother-to-mother breastfeeding organization. Being given the opportunity to help mothers as they are breastfeeding has been huge for me. It’s given me a purpose outside of being the best mother I can be to my boys – and that has made me a better mom. 5. Breastfeeding gave me my village, and I’m a much better mother for being surrounded by these women as we raise our children. This has probably been the most “life changing” aspect of mothering for me. Not only are these the women that I go to when I have a question, they are also the women I go to when I have a success and (more importantly) when I’m feeling down and I need a little pick-me-up! I’ve meet these women in, and then through, breastfeeding groups. We all parent a little different – some cloth diaper and some don’t, some bed share and some don’t, some are working mothers while other stay home with their littles. Somehow, we’ve avoided the “mommy wars” though. We’ve even avoided the “female wars” – you know, the snide comments, jealousy and downright bitchiness we often find among women these days. Instead we celebrate the success of others and are there with a shoulder to cry on when it’s needed. These women remind me I can do this, and when I can’t, that it’s okay to ask for help. They are my village and it really does take a village to raise a child. We aren’t meant to mother alone, although we often find ourselves doing that for one reason or another. Having my village, which I give breastfeeding the credit for helping me find, has made me a better woman and therefore a much, much, MUCH better mother! Now I’m not saying I’m the best mother in the world (in fact, if you ask my mother I’m sure she’ll be happy to list all of my faults, like the fact that I don’t wear socks on Andrew or that I “run too much” with the kids) but I really do feel like I am the best mother I can be for both of my boys. My parenting style is probably very different than yours, and that’s okay. As long as you are being true to yourself and your child(ren)’s needs, you are the best mom they could ask for! So tell me, what do you think has made YOU a better mom? !